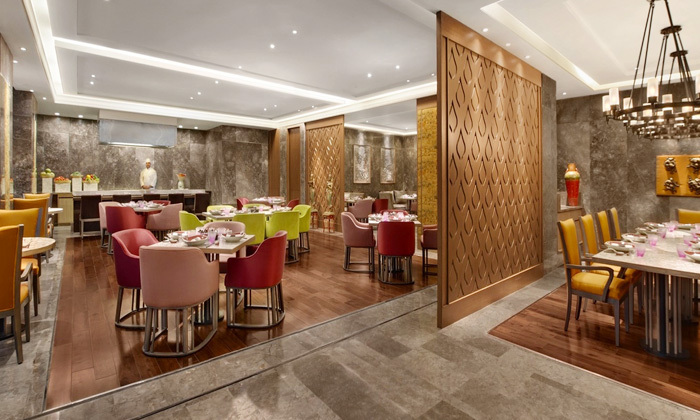 Mei Kun is an Asian restaurant located in the Leela Ambience Convention Hotel that is situated on the Maharaja Surajmal Road in New Delhi. This restaurant serves delicacies from Chinese, Thai, Malaysian, Indonesian and Singaporean cuisine. The restaurant has a rustic feel to it with its dull coloured walls and classy wooden flooring. The restaurant has a large sculpture of Buddha that is placed right in the middle of the restaurant.